The rose is a symbol that can find a home on both women and men. Love and beauty are aspects that transcend all societal and cultural boundaries. The attributes of the rose can reveal many hidden meanings and concepts. Allow your inner beauty to become inscribed on the canvas on your body. Many celebrities have chosen to adorn themselves with roses as well, so know that you are in the company of the famous and infamous alike. Aphrodite, the goddess of love in Greek mythology, is said to have turned roses from white to red because her pricked finger dyed them red with her divine blood. The blood over her lover, Adonis, was said to have sprouted a rose bush. Seen during Valentine’s Day and during honeymoons, the rose has been defined as a symbol of love. 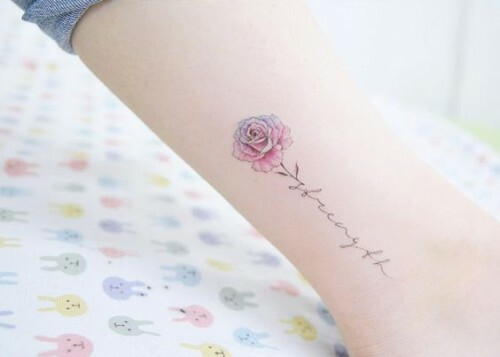 The rose may also be a symbol used to remind people of mortality and impermanence. Morticia, the matriarch of the Addams Family, used the black rose as a symbol of morbidity and death. On the other hand, the black rose is often used to denote loss during memorials. A wilting or dead rose may symbolized the permanent loss of love due to infidelity or misdeeds. They may also be used as a symbol of farewell. 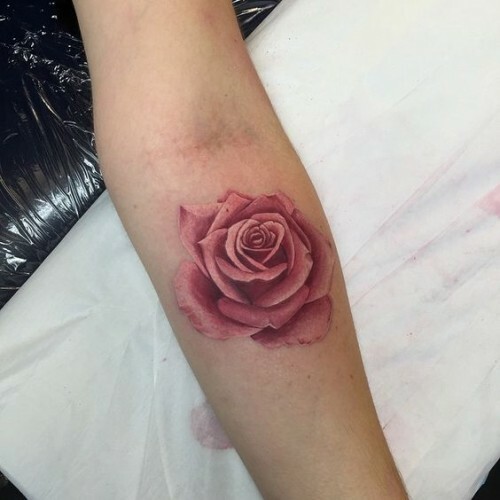 On the other hand, the rose may also be a symbol of uplifting aspects of life as well. Youth and purity are often associated with the white rose. Maidens may adorn themselves with white or pink rose buds to signify their virtue. Grace and elegance can be shown through white roses as well. Many women may find that the white rose suits their personality perfectly. Roses may also declare exciting emotions as well. The orange rose may be used to represent enthusiasm and a love for life. Purple roses may symbolize enchantment and mystery. Blue roses may show a relationship that is desired, but never to be had. These variations may be used by secret admirers to reveal the hidden desires of the giver. Color can be revealed in even more ways that described above. Yellow and peach roses are symbols for contentment, happiness and friendship. Multi-colored roses may show a mix of emotions. By placing a single white rose within a field of red roses, one may indicate a strong desire restrained by purity. A pair of black and blue roses may symbolize a widow or widower who is no longer searching for love. A variegated peach rose with red streaks may reveal a childhood friendship that blossomed into marriage. Thorns can make a rose take on a different meaning. Thorns may symbolize the danger associated with love. Thorns may show that imperfections are what make something perfect. 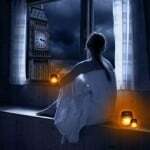 Someone who has been hurt by love may have bloody thorns. Skulls and thorns are often found together, while roses without thorns may show security or purity. The rose can be filled with a wide variety of meanings. 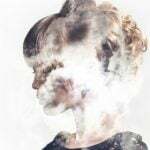 Whether you are trying to show emotional connections, hidden feelings or religious representations, you will find the rose available to you. 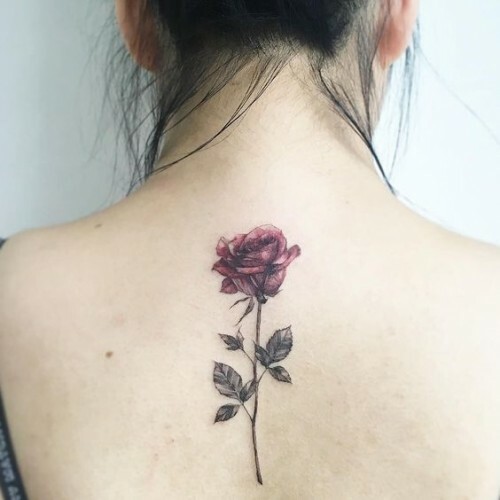 Your tattoo artist will have countless experiences with roses and meanings, and they are a valuable resource who will help you decide on the perfect tattoo.